With our second baby coming in December, we decided to take one more small family vacation before our family of 3 becomes a family of 4. We both scheduled a Friday off work next month and will head out to Carlsbad on Thursday afternoon. Carlsbad is a city near San Diego, and is about an hour drive away from our home. The city is located right next to the Pacific Ocean and beautiful beaches. Carlsbad is also home to Legoland theme park, where we will be visiting. Since our son loves running around and exploring, we think he’ll have a great time at Legoland. 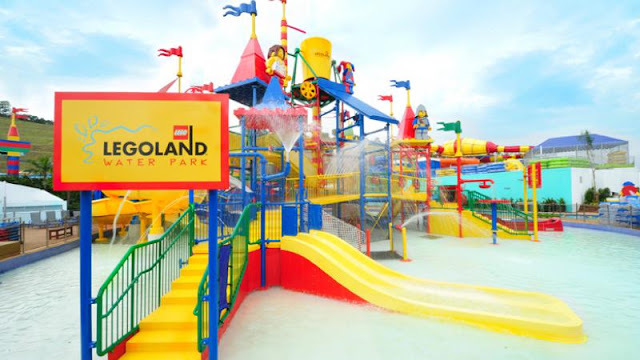 Opening in 1999, LEGOLAND theme park has more than 60 rides, shows and attractions based on the Lego toy brand. There are several rides without any age or height restrictions that our 2.5 year old son should enjoy. 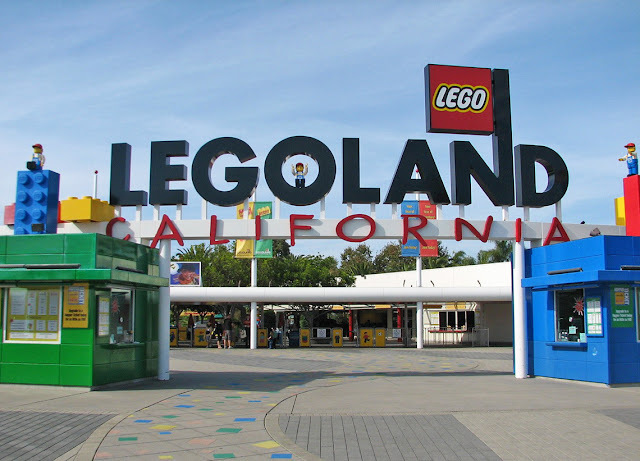 I’ve read that LEGOLAND offers a lot for kids of any age, without going on every ride. 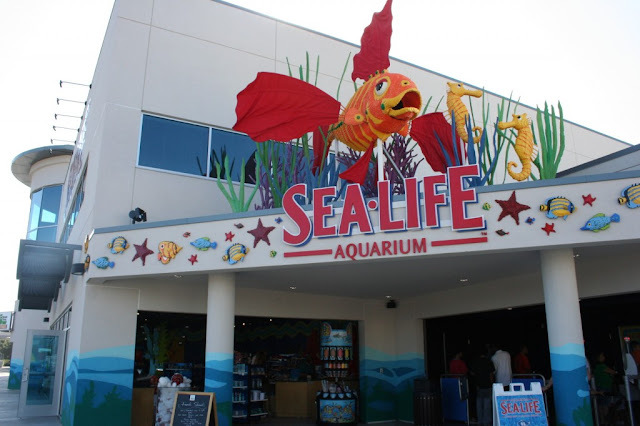 Legoland has a water park and an aquarium as well. When looking for hotel stays near the theme park, we had only a few options to choose from. 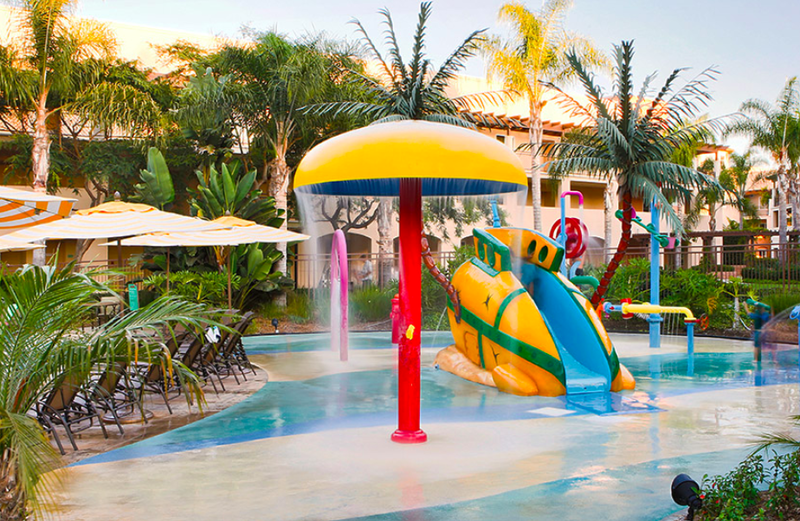 We have a ton of Chase Ultimate Rewards points, which transfer to IHG, Marriott, Ritz-Carlton and Hyatt hotels - however none of their hotel offerings are near LEGOLAND. There is a LEGOLAND Hotel, but the rates are quite expensive. 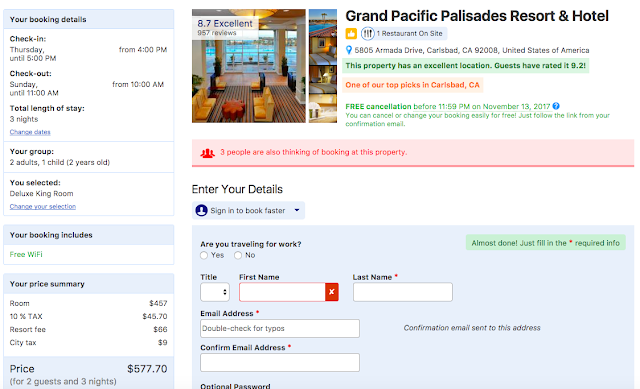 The next best option was for a hotel stay at the Grand Pacific Palisades Resort. 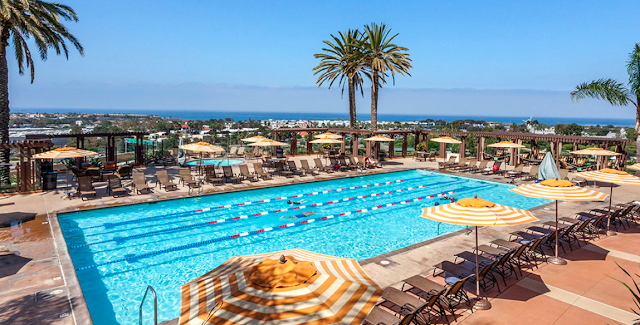 The Grand Pacific Palisades Resort is a 5-minute walk from Legoland, and offers a free shuttle to the theme park as well. They also have a fun family pool and kid’s splash pad. Reviews on Tripadvisor for this hotel are great. First, I went to the hotel website and found that the cost of booking a 3-night stay would be $497.86. Then I went to Booking.com and found that the cost of a 3-night stay would be $577.70. Since we have a ton of Ultimate Rewards points, I decided to check out what the Chase Ultimate Rewards travel portal had to offer. The Ultimate Rewards travel portal can be used just like any other travel booking site. You can search for flights, hotels, rental cars, and activities. Chase makes it extremely easy to redeem your points. You can choose to use as many or as little points as you’d like to discount the cost of your travel. The price of our hotel stay through the Chase travel portal came out to be $460.31, and we booked it with 30,687 Ultimate Rewards points. Thanks to my Chase Sapphire Reserve credit card, each Ultimate Rewards point redeemed on the travel portal is worth 1.5 cents when using the travel portal. With other Chase cards such as the Chase Sapphire Preferred or Ink Preferred, each point is worth 1.25 cents. This is a much better value than redeeming our points for cashback at a rate of 1 cent each point. 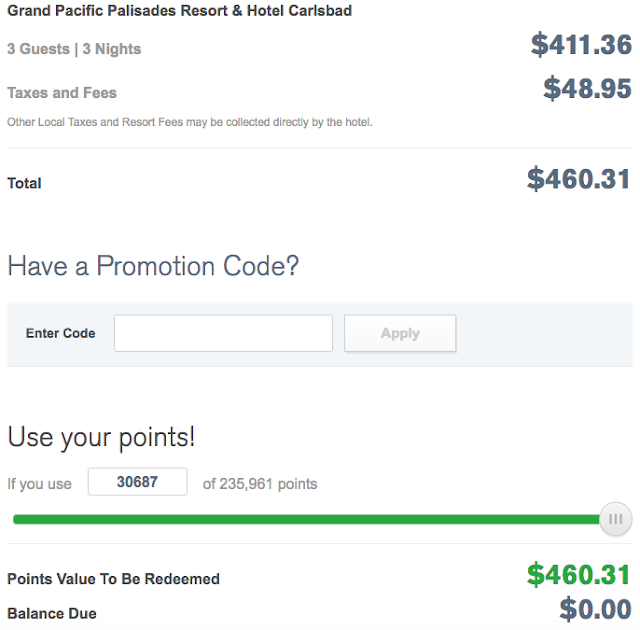 Thanks to the Chase Ultimate Rewards program, our hotel stay will be paid for with points. We can’t wait for our upcoming family vacation next month! Travel hacking with credit card points allows us to live a rich life as we strive towards financial freedom.